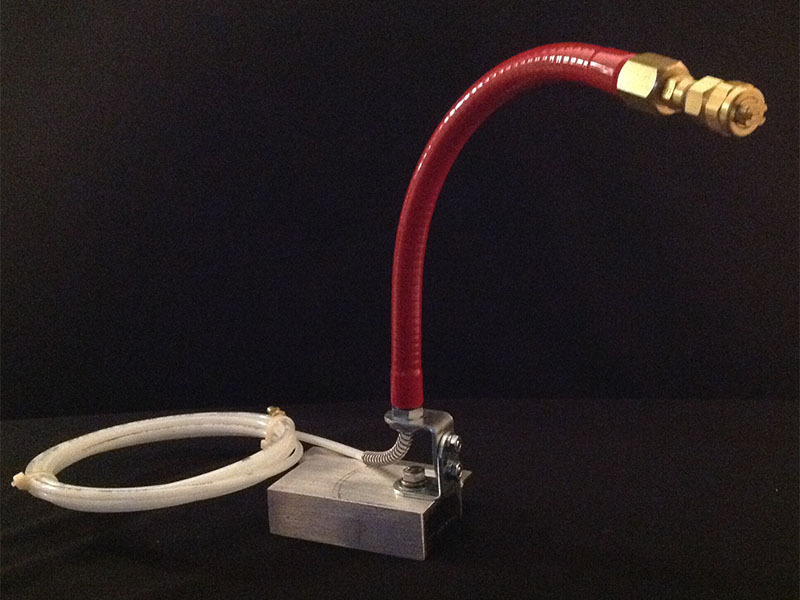 The Basic Spray Assembly allows the user to design their own mount that meets their requirements. 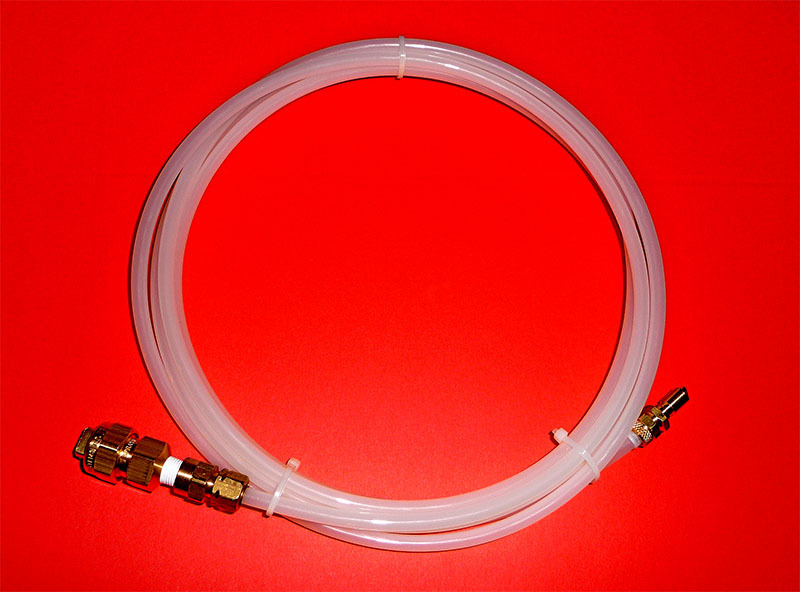 Each assembly includes the spray nozzle (specify the tip), female connector, 10’ spray line tubing and a quick disconnect plug with tube compression. 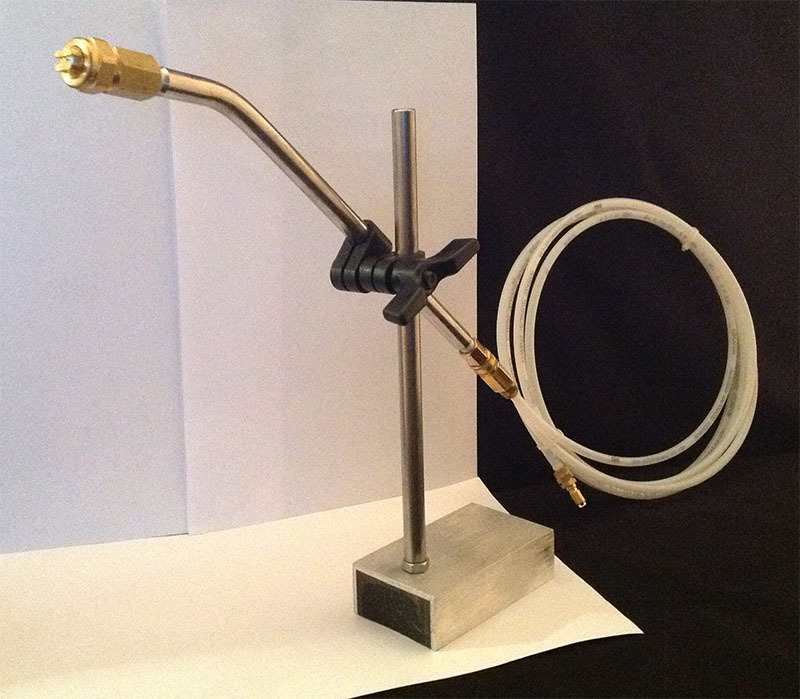 The Magnetic Based Spray Assembly mounts to a surface near the die for ease of set up. The red flexible arm attaches to the disk magnet vertically or horizontally promoting quick and easy adjustment. Each assembly includes a female nozzle (specify the tip), female connector, compression nozzle adapter, flexible arm (6", 12", 18" or 24"), anti-crimp spring, 10' spray line tubing, quick disconnect plug with tube compression and disk magnet. The Magnetic Based Spray Assembly with Heavy-Duty Magnet mounts to a surface near the die for ease of set up. The red flexible arm attaches to the disk magnet vertically or horizontally promoting quick and easy adjustment. 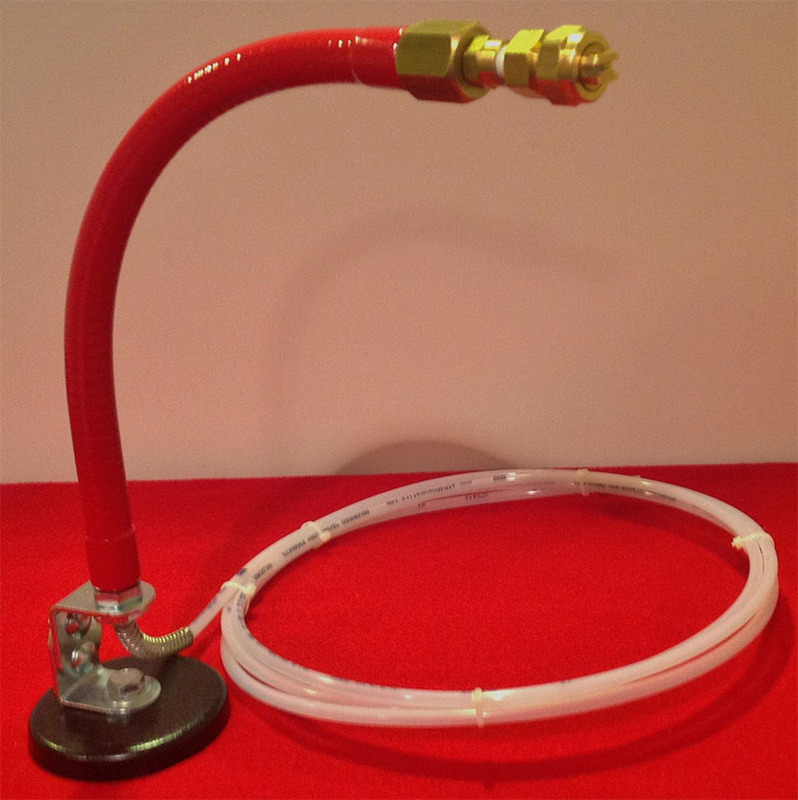 Each assembly includes a female nozzle (specify the tip), female connector, compression nozzle adapter, flexible arm (6", 12", 18" or 24"), anti-crimp spring, 10' spray line tubing, quick disconnect plug with tube compression and heavy-duty magnet with release lever. The Heavy-Duty Rod/Clamp Spray Assembly with Heavy-Duty Magnet was designed for quick and easy adjustment. Each assembly includes a female spray nozzle (specify the tip), oil tube with 1/8" NPT ends, quick disconnect plug with male 1/8" NPT end, swivel clamp assembly, 10’ spray line tubing, quick disconnect coupling with tube compression and heavy-duty magnet. 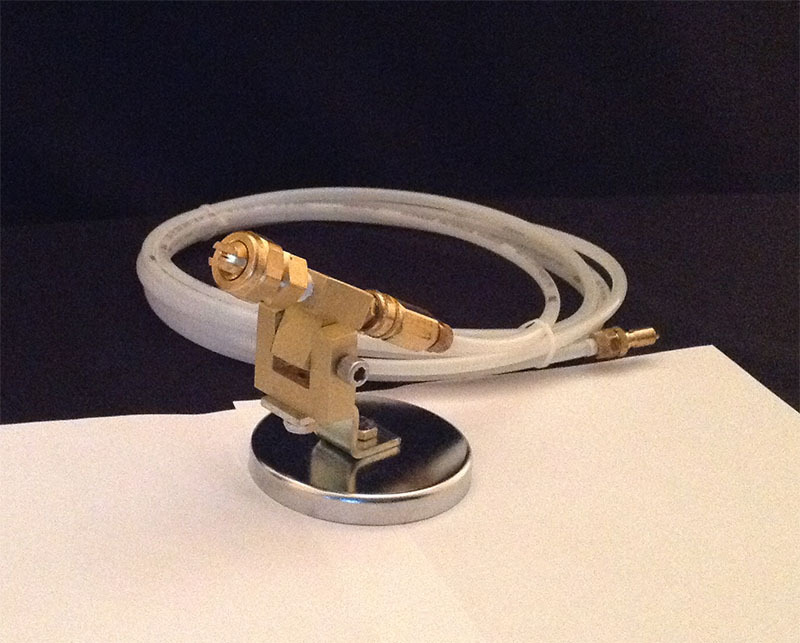 The Magnetic Based Swivel Nozzle Bracket Spray Assembly was designed for ease of set up and quick adjustment. 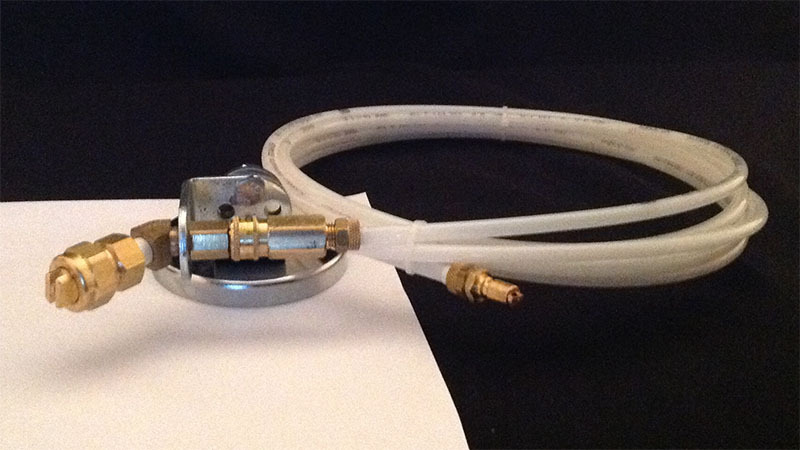 Each assembly includes a swivel nozzle bracket assembly, spray nozzle (specify the tip), quick disconnect plug 1/8” NPT end, magnetic base, 10’ spray line tubing, quick disconnect coupling with tube compression and quick disconnect plug with tube compression. The Fixed Based Swivel Nozzle Bracket Spray Assembly mounts to a surface near or on the die and provides for ease of set up and quick up and left, right, up and down adjustments. 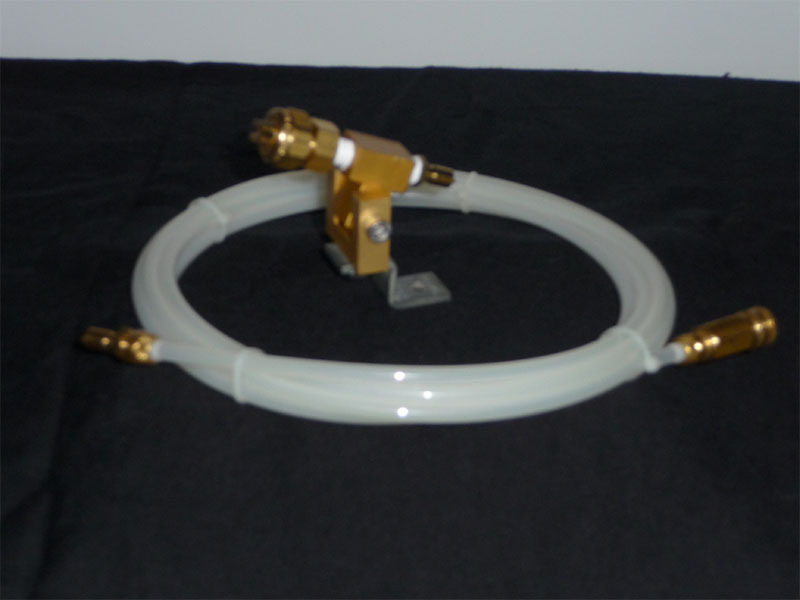 Each assembly includes a swivel nozzle bracket, spray nozzle (specify the tip), quick disconnect coupling with tube compression, 10’ spray line tubing and quick disconnect plug with tube compression. The QuickChange™ Fixed Based Spray Assembly was designed to be mounted to the die or a surface near the die. Quick connect fittings promote ease of set up. Each assembly includes a universal L shaped nozzle bracket, spray nozzle (specify the tip), 45° elbow, 1/8" NPT female quick disconnect plug, quick disconnect coupling with tube compression, 10’ spray line tubing and quick disconnect plug with tube compression. The QuickChange™ Magnetic Based Spray Assembly mounts to a surface near the die and provides for quick set up and adjustment. Each assembly includes a universal L shaped nozzle bracket, spray nozzle (specify the tip), 45° elbow, 1/8" NPT female quick disconnect plug, quick disconnect coupling with tube compression, 10’ spray line tubing, quick disconnect plug with tube compression and disk type magnet.